Triton 08487 Disc Brake Rotor 10-inch by Triton at Notakem Bara. MPN: 08487. Hurry! Limited time offer. Offer valid only while supplies last. 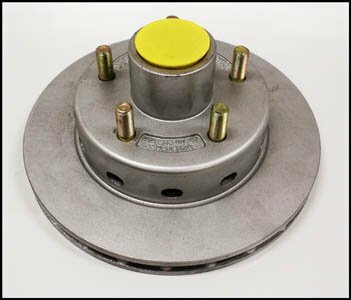 The Triton 08487 Disc Brake Rotor is the new style 10'' disc rotor for Triton enclosed trailers and other trailers. Fits best with Reliable axles. The Triton 08487 Disc Brake Rotor is the new style 10" disc rotor for Triton enclosed trailers and other trailers. Fits best with Reliable axles. Manufacturer part number of the rotor is 12-1001-04-02.